Biosis 26: Dreams & Actions, FDA & Mercury, Alternative Medicine Controversy - Gary M. Verigin, DDS, inc. Gary M. Verigin, DDS, inc.
You say you want to be a winner. Turn your dream into action! Those words are from a song I heard many years ago at a Zig Ziglar seminar – a tune so catchy, it has stuck with me all this time and continues to remind me that if I want to accomplish all the things I want to do, pursue all the things that interest me and enjoy them to the fullest, first, I must slow down and plan. First dream, then plan, then act! One of my interests is baseball – most importantly, the Atlanta Braves, although I do cheer for the Giants and A’s so long as they’re not playing the Braves! It’s fun to watch the players improve their game, growing and working as a team. While a lot of kids grow up with dreams of playing in the big leagues, some of them do only that: dream. Others try to make it but fall short. Those who do make it, though, have at least one thing in common: they turned their dreams into plans and then worked those plans. Catfish Hunter – the great pitcher who was inducted into the Baseball Hall of Fame in 1987 – was one such kid. Growing up in North Carolina, he excelled in a variety of sports, but his pitching skills made him a standout athlete, and he began to attract the attention of major league scouts. But during his last year of high school, he had a hunting accident. Shotgun pellets lodged in his foot. He lost a toe. Still, he pressed on. He had his dream, his plan, his action. And ultimately, he was signed by Kansas City. He went on to become an eight-time All-Star. He won the Cy Young Award. He was a member of five World Series championship teams, throwing for the A’s and Yankees. In 1968, he pitched a perfect game, the first in the American League since 1922. Recently, I read an article by businessman and motivational speaker Mac Anderson called “You Can’t Send a Duck to Eagle School.” In it, he describes a letter sent to him from a major insurance company executive. The executive said that when he was growing up, he loved baseball, and his dad was the coach of his Little League team. His dad told the players repeatedly: prepare for each play and know what to do with the baseball if it’s hit to you. Then he added, “I want all of you to want the ball to be hit to you.” He said that if they then made the play, the should be humble. And if they made an error, they should put it behind them. The boys were to do the same thing on every pitch: want the ball to be hit to them, field the ball humbly and let go of any errors made, keeping their heads in the game at all times. Sounds like a good guide to life to me. The year I finished my studies at the University of Washington Dental School, The Flintstones was still in its original nighttime run on ABC. The Beatles were appointed “Members of the Order of the British Empire,” and kids were still doing the Twist, the Pony and the Jerk. The Soviet Union announced that it had shipped rockets to North Vietnam, and the war was weighing ever more heavily on our minds. By the end of the year, 190,000 US troops were stationed in Vietnam. Much has changed since then. We’ve got the Internet and Web and all sorts of interactive media such as Twitter, Facebook and wikis. We have iPods and iPhones and gadgets galore. We have virtual computing, advanced robotics and even steps toward creating artificial intelligence. Sadly, our country is still at war, only now in Iraq and Afghanistan. Over the years, a different kind of war has taken place: the fight to stop the use of toxic dental amalgam. And last year, when the FDA did its about-face and finally acknowledged its risk to human health, it seemed that this war could soon be done and won. But now the FDA has regressed to the old, unscientific, Flintstones-era position that dental amalgam is perfectly safe. As our regular readers and clients know well, the more accurate name for “amalgam fillings” is “mercury fillings,” since that element is their main component. In fact, the typical “silver” filling is made of 50 to 53% liquid mercury, which helps bind a powdery blend of mercury, silver, copper, tin and zinc. Interestingly, the name “mercury” comes from that of the ancient Roman god of commerce and thievery, trickery and sleight of hand. Yet another intriguing coincidence: the god Mercury was often shown holding a rod entwined with two serpents – the Caduceus, which is now the symbol of modern medicine. The U.S. Food and Drug Administration today issued a final regulation classifying dental amalgam and its component parts – elemental mercury and a powder alloy – used in dental fillings. While elemental mercury has been associated with adverse health effects at high exposures, the levels released by dental amalgam fillings are not high enough to cause harm in patients. [emphasis added]The regulation classifies dental amalgam into Class II (moderate risk). By classifying a device into Class II, the FDA can impose special controls (in addition to general controls such as good manufacturing practices that apply to all medical devices regardless of risk) to provide reasonable assurance of the safety and effectiveness of the device. The special controls that the FDA is imposing on dental amalgam are contained in a guidance document that contains, among other things, recommendations on performance testing, device composition, and labeling statements. A statement discussing the scientific evidence on the benefits and risk of dental amalgam, including the risks of inhaled mercury vapor. The statement will help dentists and patients make informed decisions about the use of dental amalgam. Chronic exposure to mercury, even in minute amounts, is known to be toxic and poses significant risks to human health. Current scientific evidence clearly demonstrates that dental amalgam unnecessarily exposes dental patients to substantial amounts of mercury vapor, particulates and other forms and is therefore not a suitable material for dental restoration. It is incompatible with current valid scientific evidence to continue to endorse or otherwise condone the use of a permanently implanted material in teeth that continuously emits a very potent enzyme inhibitor and metabolic toxin. Moreover, mercury’s damaging influence on the developing brain makes dental amalgam an entirely inappropriate material for use in children and women of childbearing age. 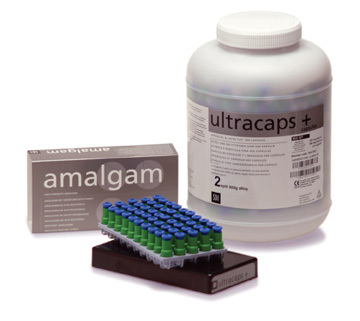 Regulate encapsulated amalgam as a class III medical device consistent with CFR 21, 860. Finally, physicians and dentists should, where patients are suffering from pathological states and diseases of unclear causations, consider whether exposure to mercury released from dental amalgam fillings might be an exacerbating factor in such adverse health conditions. I also highly recommend the IAOMT’s “Scientific Case Against Amalgam” (PDF) for an excellent summary of the evidence that mercury is a hazard to human health. Of course, the organs most at risk of damage from mercury are the brain and nervous system. Indeed, the most common symptoms of mercury poisoning tend to involve these organs, from “brain fog” to more severe memory problems; from depression to mood swings or other erratic behavior; tremors and tics to vertigo and other neurological problems. The evidence is clear that mercury causes brain neuron degeneration, as can be seen in this fine video from the University of Calgary. And how does the mercury get to the brain and other organs? Again, as the FDA and ADA both now acknowledge, vapor is released from mercury fillings constantly, due to forces such as the normal friction and pressure of chewing, toothbrushing and temperature changes, as shown in the video Smoking Teeth = Poison Gas. But contrary to their magical thinking, it is enough to cause illness and dysfunction, as demonstrated in research such as that cited above. Dr. Boyd Haley’s historic work on the subject is also eye-opening. Perhaps one of the most comprehensive sites I can recommend for learning about the actual scientific record of dental mercury related illness is thiscompiled by Bernie Windham, which references more than 3000 medical and governmental agency studies documenting the fact that mercury fillings do not belong in anyone’s teeth. It also chronicles the various maladies with which the general public is afflicted that can be linked to elevated levels of mercury in the body. At an Academy meeting one time, I heard a dentist ask the physician lecturer why there are two physicians for every one dentist in this country. The physician replied, “One dentist can keep two physicians busy for the rest of their practice lives.” We all laughed loudly at this, physicians and dentists alike, acutely aware of the kernel of truth in his joke. The damage that conventional dentists can do indeed lines the pockets of physicians. Is it possible that the ADA, AMA, FDA and the like, the supposed protectors of our population’s health, are all ignorant of the science of dental amalgam-caused illness? Or do they willfully look away as they kowtow to the drug and medical device companies – corporations that get rich by keeping people sick? Does mercury cause intellectual vertigo? Or is it that Mercury, the god of commerce and trickery, is really running the show? Earlier this summer, there was a lot of talk about the AP Impact series bashing “alternative medicine”. 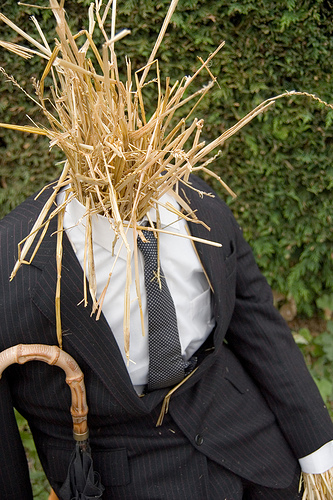 And it got us to thinking about how this term is kind of a straw man. Self-proclaimed skeptics like to say there is only medicine: that which works. Everything else, they argue, is non-medicine, and they lump it all under the word “alternative.” But here’s the catch: you seldom hear serious, qualified naturopaths, acupuncturists and other natural and traditional healers use this word to describe what they do. (When they do, it’s typically as a buzzword or heavily armored in irony quotes.) Rather, the main groups who use it tend to be 1) those wanting to sell you something, 2) establishment physicians who support a limited number of traditional healing methods (CAM practitioners) and 3) those who put their faith in industrial medicine. In addition, a frequently cited report from 1978 by the Office of Technology Assessment found that only an estimated 10 – 20% of allopathic medical interventions are empirically proven. That figure remains accurate nearly 25 years later. Again, the focus here is upon conventional medicine only since advocates of an evidence-based approach consistently cite conventional practice as the gold standard. Therefore, it is entirely appropriate to gauge the standard that is clearly found to be grossly deficient in a rigorous evidence base. Yet sometimes, apparently, no proof is okay with those in conventional medicine – just so long as it doesn’t conflict with its tacit mandate to keep hospital beds full, medical equipment in constant use and people as perpetual patients. This was pounded home to us by a quote in a WSJ Health Blog item on the AMA’s move away from white coats for doctors, because of their role in transmitting pathogens. Now, if a homeopath or acupuncturist were to say such things, and he or she would be hooted down as “unscientific.” There’s definitely a double standard. The best holistic healers tend to be quite diligent in giving their patients the scientific information they need in order to understand treatment recommendations and risks – as well as alternative treatments, including those of establishment medicine. They are teachers as well as healers, wanting patients to understand their own role in the healing process. They give the support for what they propose to do. In this way, their patients can give truly informed consent. Of course there are some things that conventional medicine does very well. If you break a leg, you don’t treat it with homeopathics or acupuncture. You may use such supplemental therapies to help relieve pain and support healing. But for your injury, you want a doctor who can set the bone so it can heal. Good research depends largely on asking the right questions and using models of inquiry that are appropriate to what is being observed. With cancer and other “no-cure” diseases, we may well be asking the wrong questions, using the wrong models, ignorant of any others, such as Enderlein’s work in pleomorphism or Reckeweg’s work in homotoxicology, both arising from Antoine Beauchamp’s theory of the biological terrain. If you consider a disease like cancer from the fundamental understanding that the terrain – a body’s internal environment – dictates the development and progression of illness, you can begin to see possible avenues for cure: change the terrain, and you change the course of illness. In fact, this is the kind of thing that health officials imply when, for instance, they talk about “underlying conditions” being a risk factor for other illnesses, as in this New York Times article onH1N1 (“swine flu”) worries. Illness thrives when the terrain is polluted and disordered. Add another insult (toxin) to the system – here, the H1N1 virus – and things can get worse. Much worse. The criticism the medical establishment is directing at Oprah through this article only exposes their own frustration in having squandered their credibility with the public. They hope that if they can successfully attack the Oprah’s immense credibility, then they can magically get some of that credibility back for themselves. However, if people still trusted the health care industry to act in their best interest the way they did decades ago, then it would be unnecessary to brand Oprah for “crazy talk” simply because she occasionally provides a forum for ideas outside of mainstream medicine. The medical profession is burdened with a host of problems that Oprah addresses with more candor and force than the AMA. She promotes wellness and prevention, two areas that drastically need improvement. She brings up creative solutions to problems that medical science is baffled by, such as the healing response itself and the role of subjectivity in patient response. These are issues that few M.D.s are willing to explore, yet she has done so for decades. Scientific medicine by and large ignores wellness, prevention, and alternative medicine in general. On a daily basis doctors don’t deal in these things; few take courses in medical school centered on them. That’s why a massive movement has arisen driven by patients themselves. Oprah serves as a public outlet for a conversation that needs to be ongoing. As long as official medicine, backed by huge pharmaceutical companies, denies the existence of the problem, much less alternative solutions, the movement will remain patient-centered and the attitude toward alternative medicine will be one of unfounded disdain, suspicion, and ignorance on the part of physicians. The whole thing is worth a read – and we say this despite our not being big fans of Chopra and Winfrey. You can check it out at AlterNet.